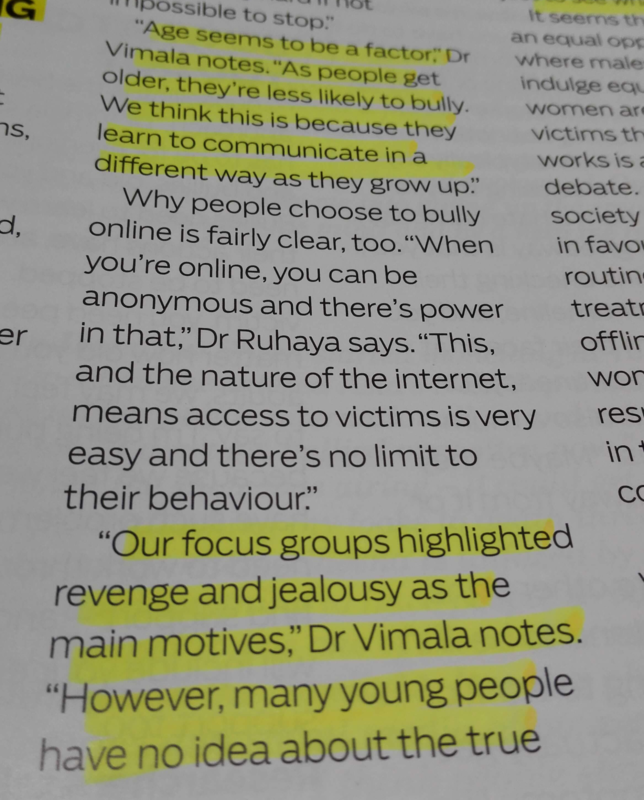 Her very first interview on cyberbullying prevalence among young adults in Malaysia appeared in Her World magazine. 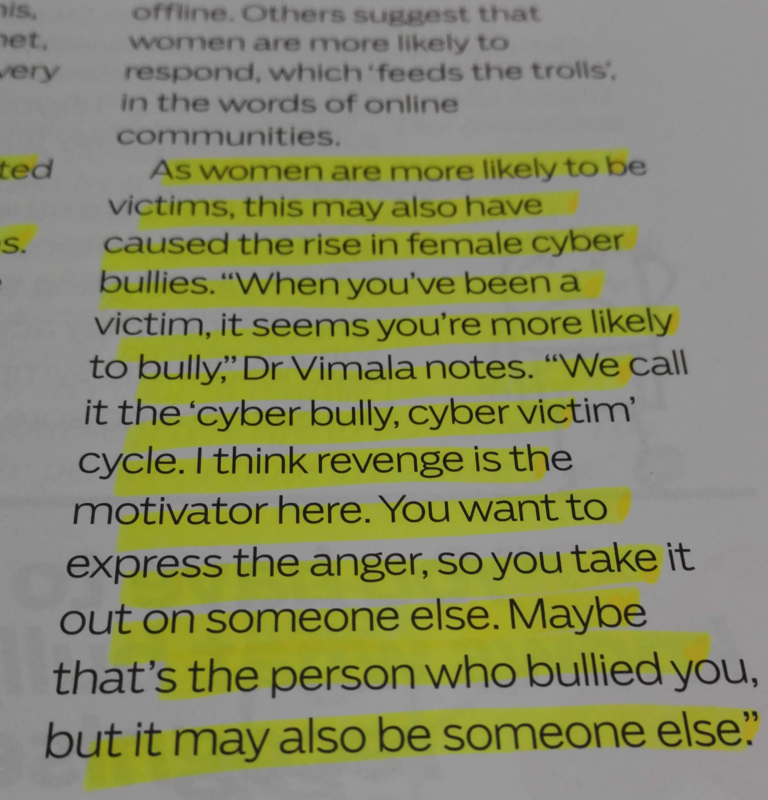 The interview was based on one of her publications on cyberbullying, particularly focusing on motivations behind cyberbullying perpetration. 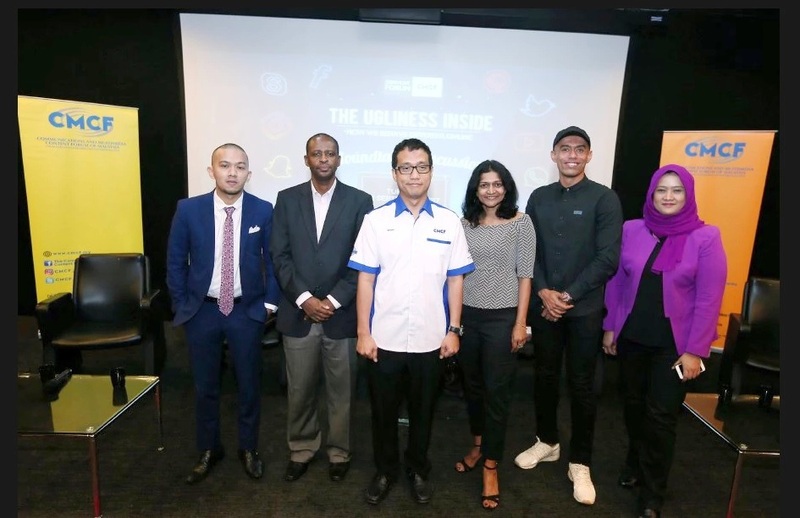 A six-panel forum to discuss on responsible content creation and sharing organized by the Communications and Media Content Forum Malaysia as part of their initiative to promote DiSebalik Wajah. 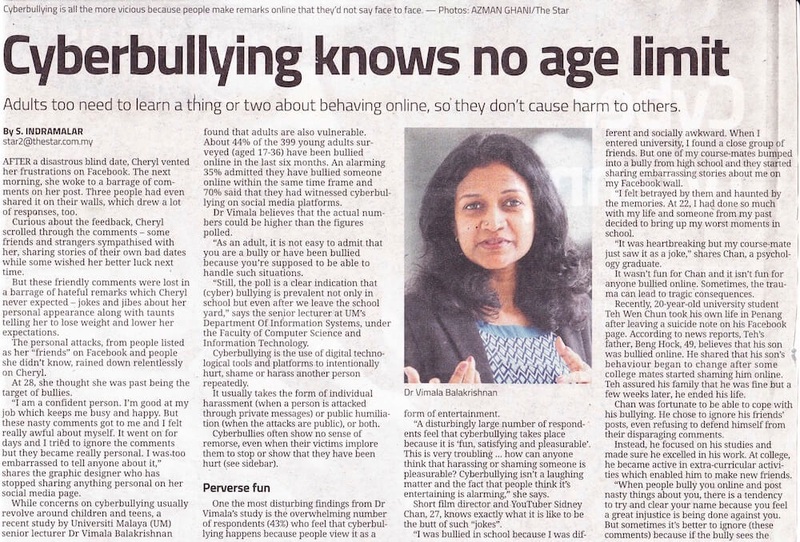 Dr Balakrishnan contributed her expertise on cyberbullying issues in Malaysia. 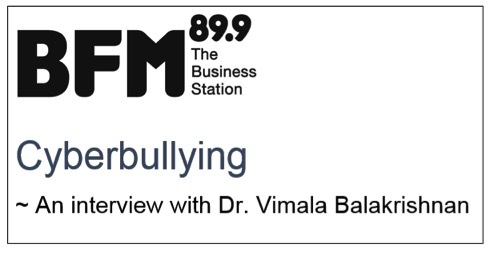 She is seen here with the Chairman of CMCF, Dato' Izham, Mr Kakama (UniCEF), Madam Mediha and two local celebrities. 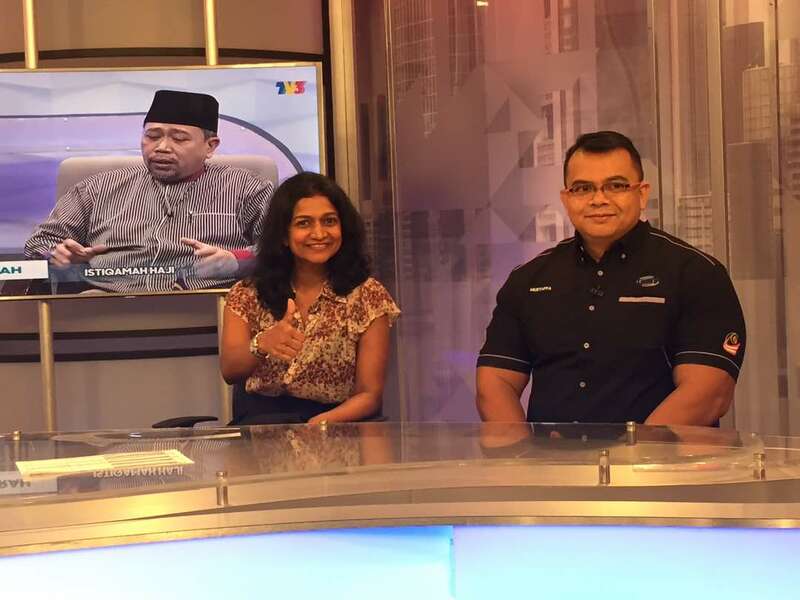 Her very first television appearance on MHI programme with the Executive Director of Communications and Media Content Forum Malaysia to promote DiSebalik Wajah initiative. 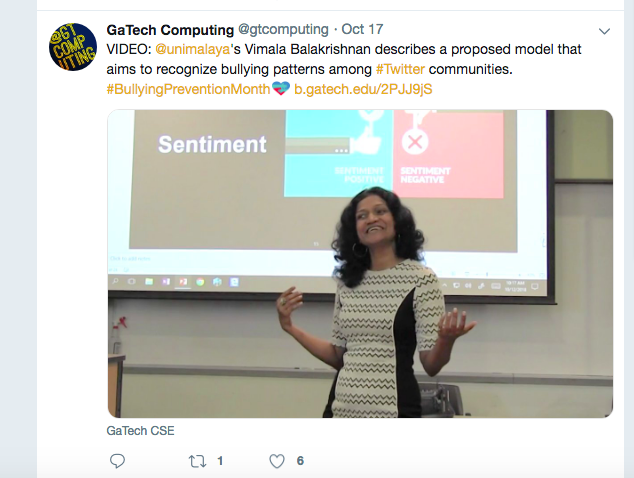 One of her series of talks during Fulbright tenureship - Psychological features and their impacts on cyberbullying detection at Georgia Institute of Technology in the United States.